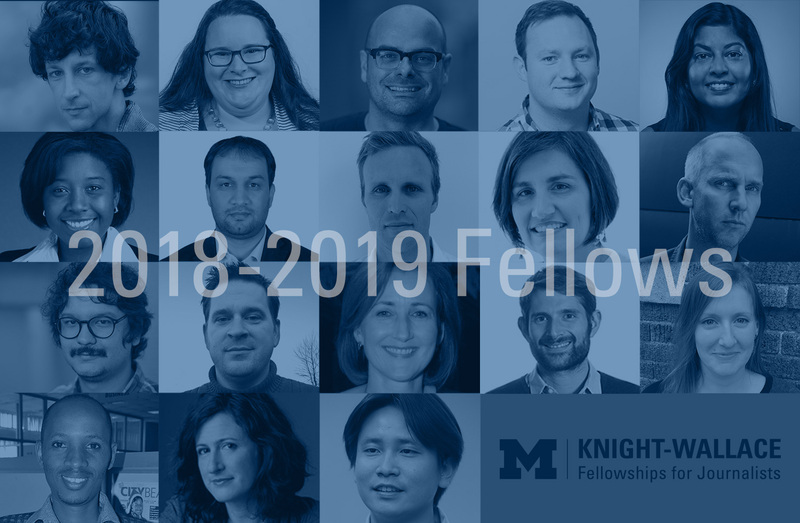 The University of Michigan has named its Knight-Wallace Journalism Fellows for the 2018-2019 academic year. The group, which includes 12 American and six international journalists, is the 45th class of journalism fellows at the University. “Part of upholding the essential role of journalism in our society is supporting the careers of journalists. It is a privilege to be able to recognize and nurture the talents of this wide-ranging group of Fellows through a year of academic research and experiential learning,” said Wallace House Director Lynette Clemetson. Knight-Wallace Fellows spend an academic year at the University of Michigan in Ann Arbor to pursue individual study plans and to engage in collaborative learning through fellowship seminars, training workshops and travel. Through twice-weekly seminars, Fellows engage with visiting journalists, eminent scholars and creative thinkers from a range of fields. Weeklong international news tours provide broader context to political, economic and social forces shaping their fields of study, and to trends and challenges facing journalism in other countries. In recent years, Fellowship classes visited South Korea, Brazil, Canada, Turkey, Argentina and Russia. The program is based at Wallace House, a gift from the late newsman Mike Wallace and his wife, Mary. Knight-Wallace Fellows receive a stipend of $75,000 for the eight-month academic year plus full tuition and health insurance. The program is funded through endowment gifts by foundations, news organizations and individuals committed to journalism’s role in fostering an informed and engaged public. The selection committee included Wallace House Director Lynette Clemetson and Associate Director Birgit Rieck; Teresa Frontado (Digital Director, WLRN, Miami), Kate Linebaugh (Deputy National Editor, The Wall Street Journal), Mosi Secret (Investigative and Literary Journalist) and Yvonne Simons (Assistant News Director, CBS 13, Sacramento); and University of Michigan Professors Bobbi Low (Environment and Sustainability) and Carl Simon (Mathematics, Complex Systems and Public Policy).